Catch Me If You Can – South Africa’s largest all-women running community, was founded by the two female entrepreneurs Sabrina Walter and Leni Ullrich. The dynamic duo is behind the concept that grew into a nationwide community. CMIYC started locally in Cape Town, now – 4 years later, the founders are sharing their beliefs, struggles and success behind the brand. Initially, Sabrina and Leni first came to SA in their early 20’s for their individual experience. Crossing paths in Cape Town for the first time, the ladies had many things in common, even their roots as they are both from Berlin, Germany. While Leni was fully involved in her NPO to support underprivileged children, they quickly became friends and supported each other’s endeavors. Leni’s experiences as a social worker only impacted the passionate women more to actively engage in bringing positive change. Working on various projects, Sabrina came up with the idea of Catch Me If You Can. It did not take much convincing to team up and put things in motion. Founding Catch Me If You Can was about bringing women together and let them experience the benefits of supporting each other. Sport has always been a key to connect people and a healthy lifestyle benefits an overall well-being. As they saw running is the most affordable entry level sport that everyone can build up on, the common dominator was found. 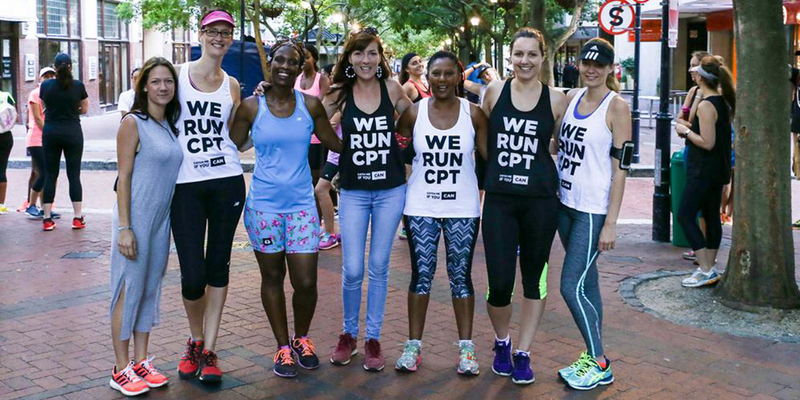 Under the name ‘Catch Me If You Can’ the first women running groups in Cape Town where established. 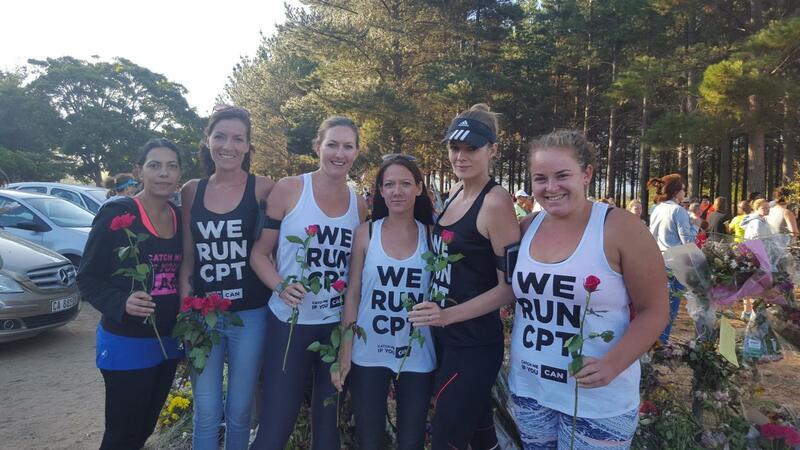 The first women to offer group runs in Cape Town, are women that commit their time and passion to support other women on their journey. Quickly the word spread, and some experienced CMIYC Leader from Cape Town established the concept in Johannesburg. CMIYC empowers women and has real power women as Leaders, who offer free group runs up to twice a week. Those are accomplished women who themselves started once to just finish a 5km and are now taking pride in running Comrades. Those are the women of CMIYC from Leaders to members alike. Women are embracing the climate of an only female meet-up, establishing friendships, while setting goals. Sabrina and Leni were overwhelmed by the positive feedback and took on the enquiries for more areas. They established more group activities, besides running women meet up to walk, hike or do trail runs together. CMIYC started out on the Facebook page, followed by a website including a magazine and online shop. Sabrina and Leni are personally investing in their community, growing it from scratch without any financial backers. By now CMIYC has achieved their biggest mile stone yet and launched the first Women Running App for South Africa at the end of 2017. Women can find safe group runs all over the country and meet like-minded ladies on the App. CMIYC Women Running App is available in GooglePlay and AppStore. Safety is one major concern CMIYC focuses on, as it is the most increasing issue, one that especially affects women. The first steps to ensure women’s safety outdoors, are group activities. The CMIYC Women Running App is the next level solution for women to be active and feel save. On the CMIYC app GPS tracking is already implemented. The update shall include an Emergency Button and live tracking function. The functions enable women to be virtually accompanied by their loved ones and call for assistance immediately. With this unique concept, CMIYC wants to give all women back some piece of mind to enjoy being outdoors. CMIYC’s main focus is, as it has always been, to strengthen and empower the community. A powerful example is the outcome of the Women For Change Run/Walk in Tokai Forest in March 2016. In light of the senseless killings of the teenage girls Sinoxolo and Fransiska, CMIYC planned an ad-hoc gathering to address the issue. 3 500 Cape Townians followed the call to stand united against crime. CMIYC enjoys great popularity since its birth hour in 2014. More than 25 000 women have joined group runs. Additionally, more than 15 000 women have participated in official CMIYC events. Still run by two women with a vision, CMIYC has grown from a local running community into a national brand. Working with dedication the goal of the founders of CMIYC is to impact the lifestyle of all women to improve their overall well-being. As women for women, the entire concept is based on community effort. In the same spirit CMIYC is offering sponsorships for events, and is currently looking for partners to invest in the women community to achieve greater goals. contact me re the Simons Groot Constantia run and any other local runs that are happening. I been too scared to run on my own after the attacks, . I know entries are closed – im desperate!